The round case with clear stones on the topring is a “notice-me” style that sparkles. The rose dial with opaline outer finish and a textured center is equally as stunning. 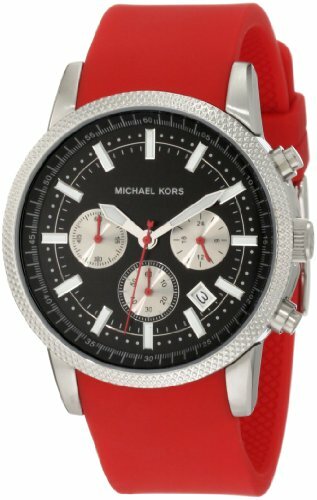 Stop right here: this red watch with brushed-silver face and silver accents is totally of-the-moment. 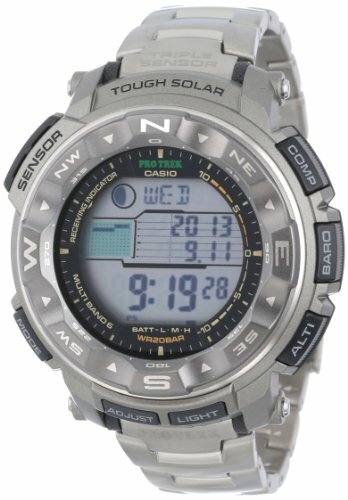 The feature-rich Casio Men’s Pathfinder Triple Sensor Watch is loaded with contemporary must-haves, like a titanium band that closes with a double push-button fold-over safety clasp and a triple sensor that provides altimeter, barometer, thermometer, and compass information. And that’s just the tip of the iceberg. The watch’s large digital display is backlit for afterhours use and world time is quickly available in 48 cities–a handy feature when you’re travelling. Other high-tech features include five alarms, a 1/100 second stopwatch, a countdown timer, and the ability to display time in 12- or 24-hour formats. Myriad easy-to-use buttons surround the watch’s resin case, providing quick access to its many features. 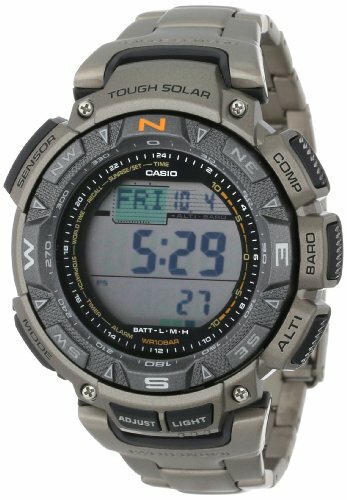 Additionally, this watch boasts a water resistance to 330 feet (100 meters), reliable digital quartz movement, and a mineral crystal. The Eco-Drive Perpetual Calendar features a titanium case and a black dial. 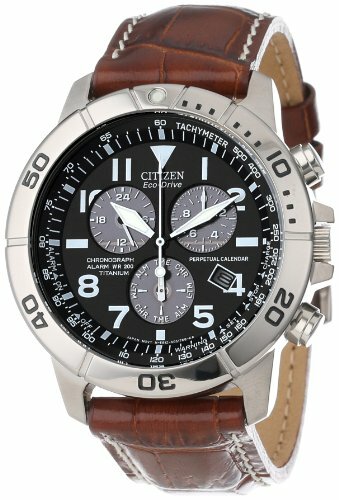 The timepiece features a 1/20 second chronograph that measures up to 60 minutes, 12/24 time, dual time, alarm, date indicator, and power saver function. Additional features include an inner calendar, which automatically adjusts to the proper date as well as leap years through the year 2100. Independent hour hand adjustment makes changing time zones simple and precise. 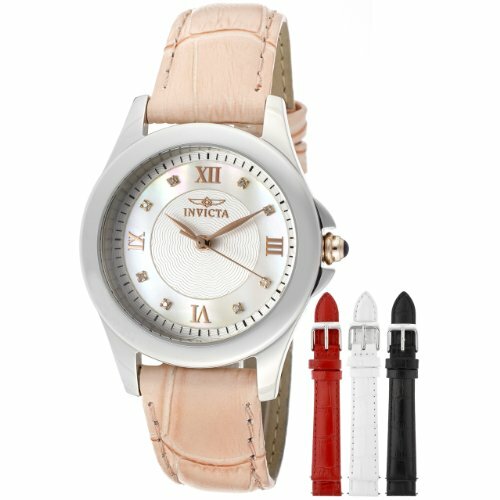 The genuine leather strap features attractive white contrast stitching and buckle closure. 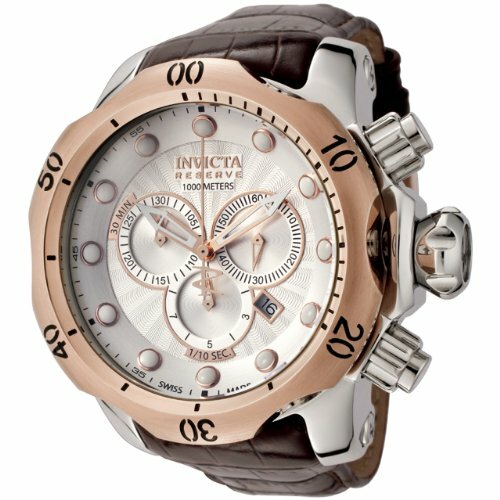 Patterns of ethereal energy connect time to a higher plane with the Invicta Angel Collection. 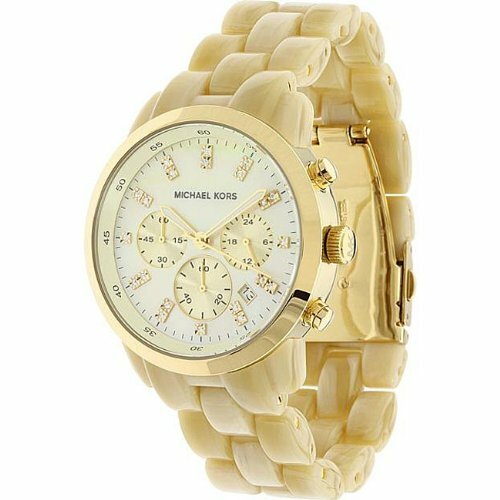 Harmonizing a perfect balance between time and style, watches of graceful diversity comprise Angel. Designed with a touch from above, Angel offers an array of selections to satisfy any mood, occasion or taste. Highlighting the aspects of feminine prowess, the Invicta Angel Collection knows no bounds, transcending earthly planes and achieving the quintessential in keeping time. 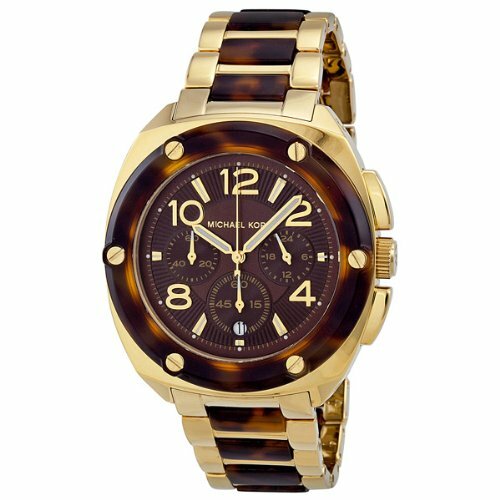 This stunning timepiece features a faux tortoise shell and shiny gold-tone watchband with a chocolate brown dial. 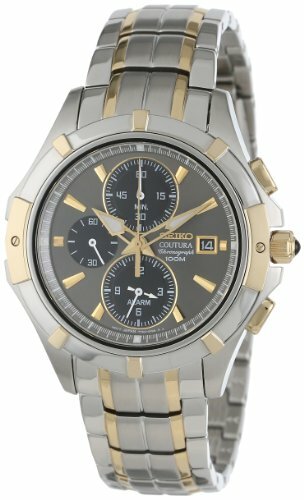 Seiko Coutura Charcoal Dia 2-tone Stainless Steel Band Mens Watch. 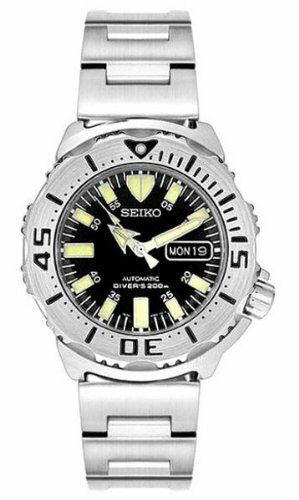 Introducing a Magnificent Time Piece Seiko Automatic Divers Collection. Brushed and polished stainless steel case(44mm diameter 13mm thick)and bracelet. 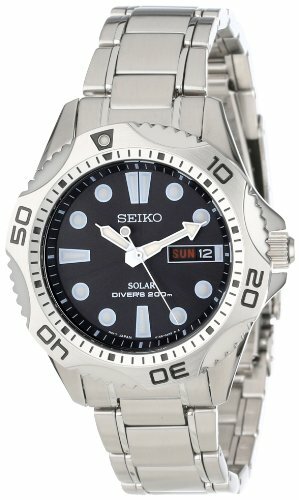 Precise Seiko automatic movement with 21 jewels self-winding. Black dial with lumibrite hands and hour markers for visibility under water. Crafted curved scratch resistant hardlex crystal. A rotating bezel which is uni-directional with detentes at 1/2 minute positions. Day and date display. Screw down crown with a signed screw down case back. Fold over locking buckle type clasp. Water resistant up to 200m.